Open data and explore it with Tableau Desktop Public Edition. Drag & Drop. 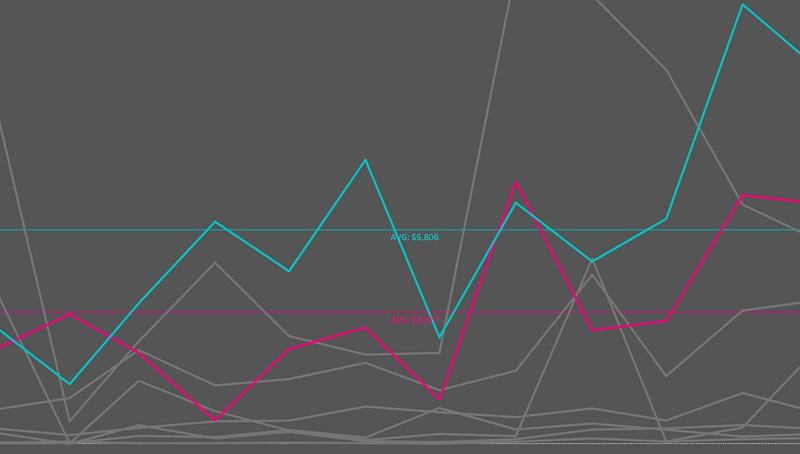 Create stunning visualizations with ease. Download the app. Save and store your visualizations on your Tableau Public profile. We give you 10GB of space. Personalize your profile and connect with other authors. Create your profile. Share your visualizations with the world via social media. Or embed them on a site or blog. 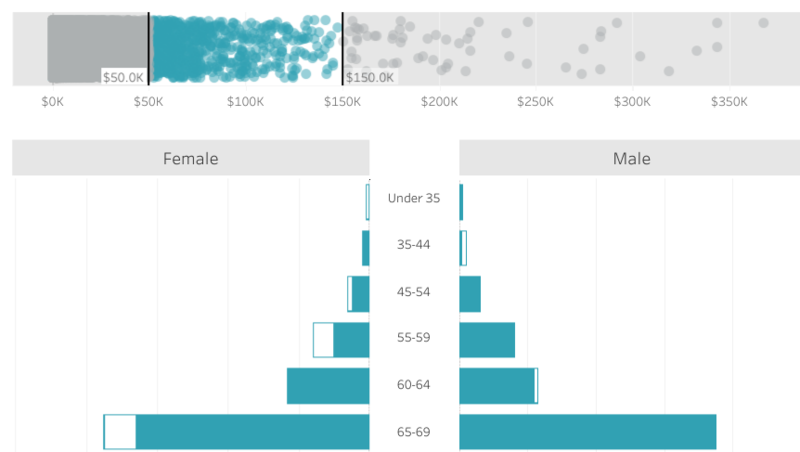 Your published vizzes are always live and interactive. View the gallery. Bloggers are starting conversations about topics from global health to policy to sports. By adding data to the conversation, bloggers can bring a new perspective to a topic. Tableau Public lets bloggers publish data visualizations on any topic, and make them interactive so readers can dig in. Ramon Martinez writes the Health Intelligence blog, which regularly visualizes data about public health like this data about improving infant mortality rates around the world. The promise of analyzing your Fitbit data, your travel, your spending or your meals is that you can understand yourself better and perhaps even form better habits. With Tableau Public you can take data of any sort and analyze it, then share an interactive visualization of the data on Twitter or Facebook. Peter Gilks of Paint by Numbers looks at a random walk around New York City. Data is a big part of the news. Journalists use Tableau Public to visualize crime and police activity, public budgets, transportation, the economy, and a host of other subjects. You don’t need a big budget to tackle a data project. And rich formatting and color options keep the graphic designers happy. Sarah Ryley at The New York Daily News created this view of stop-and-frisk incidents in New York City. Who really was the greatest tennis player on the men’s circuit? Which team is paying too much for talent? Who should you draft for your fantasy team? There are thousands of ways to look at sports data. Argentine newspaper La Nacion built this viz that brings to life 40 years of men's pro tennis rankings from the Association of Tennis Professionals (ATP). From budgets to missiles, legislation to refugees, data can help you cut through a polarized debate. With Tableau Public you can visualize political data, then publish it to the web. Sharing interactive data gives people a chance to probe your story and ultimately adds credibility. Radio Free Europe/Radio Liberty published this data story about the price of Russian oil across Europe. Nonprofit organizations around the world collect data on some of the most important causes of our time, like human rights, heart disease, and global hunger. And they’re looking for a way to spread their message and make an impact. 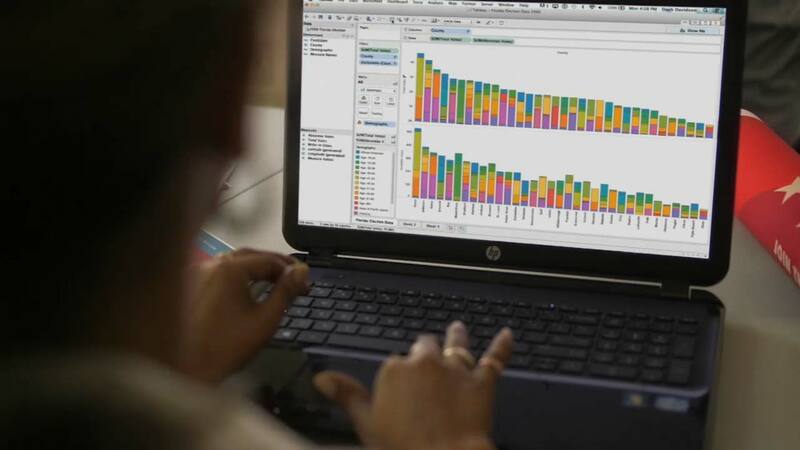 Tableau Public lets them share their data in an interactive and visual way. The International Food Policy Research Institute, IFPRI, is striving to end poverty and hunger. For the past two years, they’ve featured an interactive world map in their Global Hunger Index report that shows where the situation is most dire. Have you participated in a community-led data project? Dive into one Tableau Public author’s recent experience— and learn why they think you should get involved.